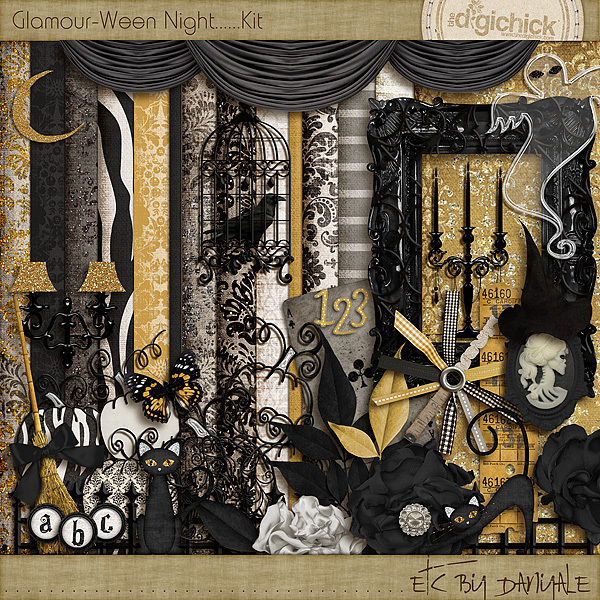 I’ve never been much of a scrapbooker, but always enjoy looking at all the elements and papers and how they can all work together, especially in digital kits. 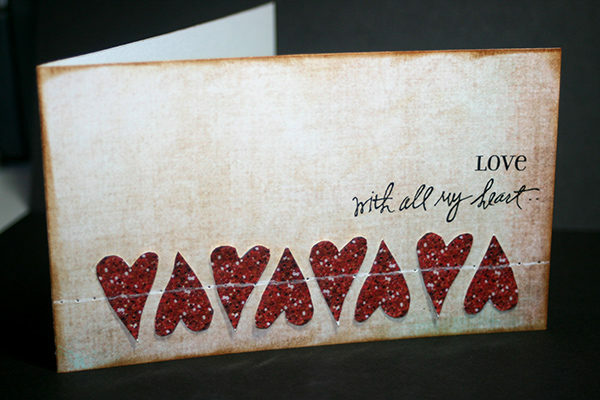 I was looking at this set as I loved all the details and stumbled upon the journaling tags. 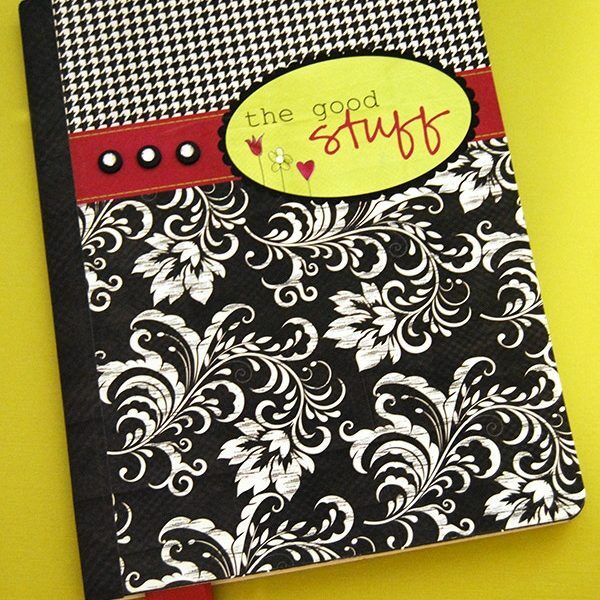 I looked at them and thought “wouldn’t they make a great notebook?” and that is where my idea began. First, I opened up Microsoft word and drew a rectangle that was just a millimetre bigger along each side of my die. This way, I can align up the die onto the paper once printed. Then, I added in the journaling panel so that it fit into that box. 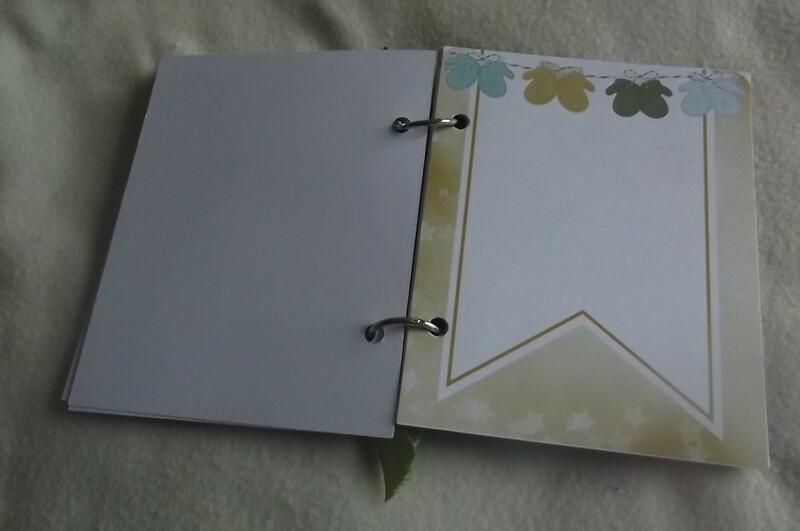 The top one will be the cover so I added some extra elements from the kit too but the bottom one is simply a journaling panel which looks like a completed page already. 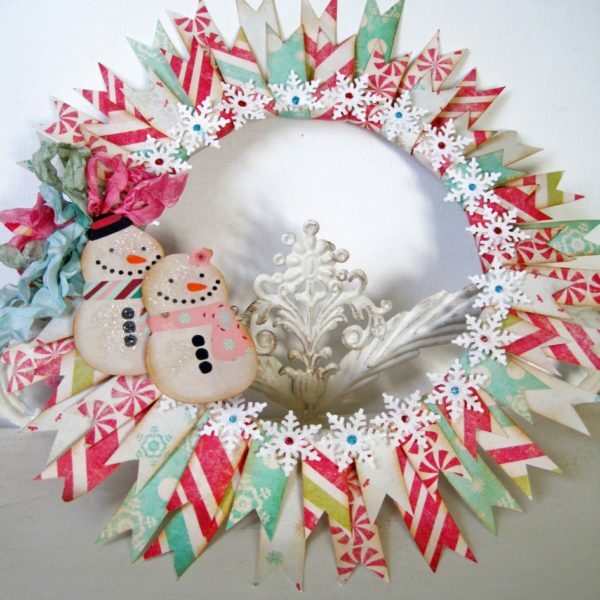 Once cut, I simply used some metal book hoops to tie them all together and some ribbon to finish it off. 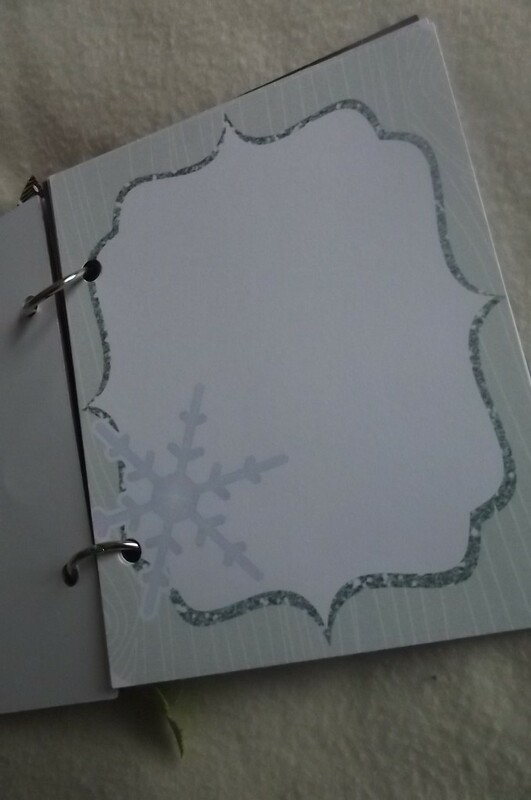 Optional: For the cover, I cut a piece of thicker brown cardstock and adhered the cover piece onto this to make it more sturdy. 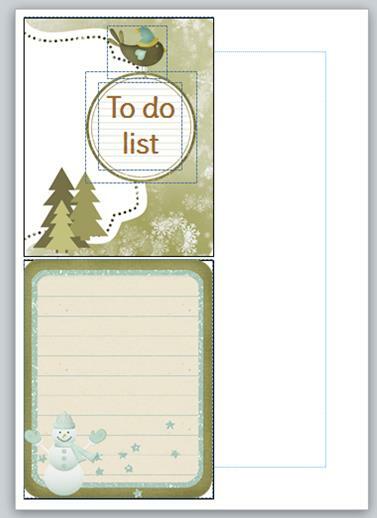 I then die cut another page from the same cardstock for the back page to tidy it all up. 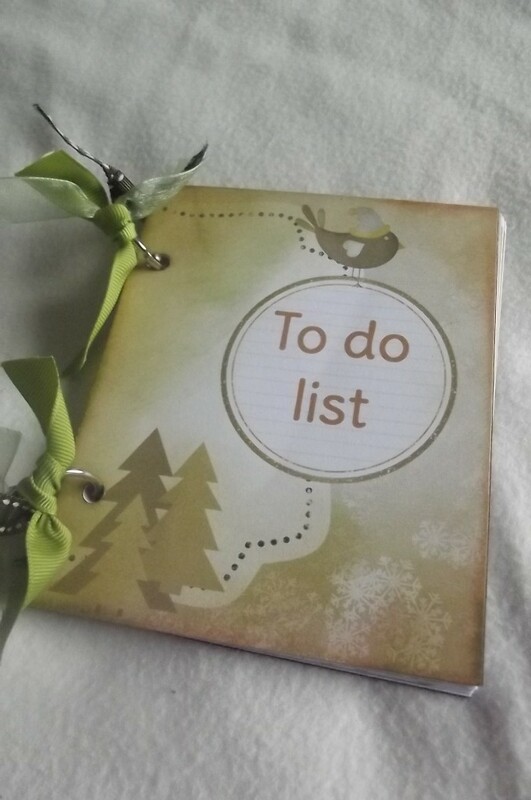 and here is the notebook – all ready for getting organized for Christmas.